now this is what I call breakfast. I would travel each morning to the most dreamy outdoor cafe to have it. 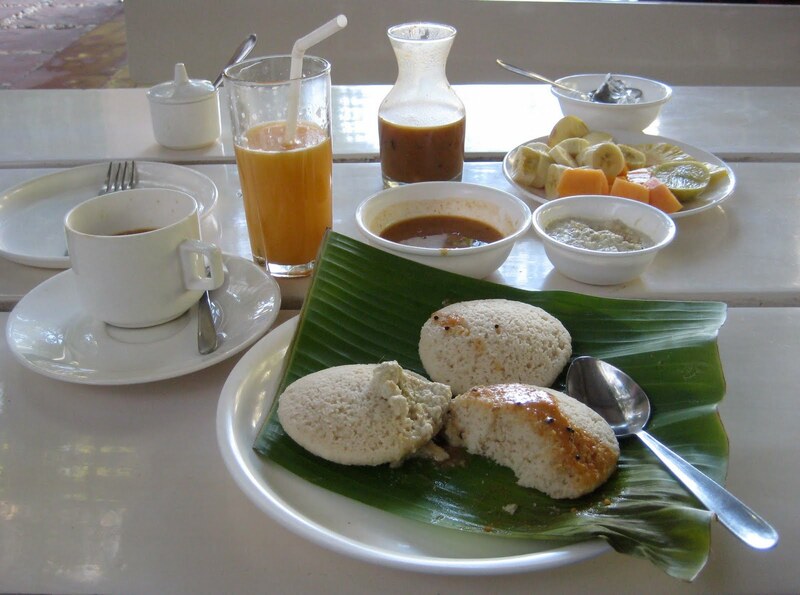 the idli were made by angels from heaven; fluffy and light. perfectly ripe fruit, sweet lime juice, and tea poured over a sprig of mint in my cup. all served by young men perfectly clad in all white with dark green bandhani patterned aprons.